Resveratrol is a plant compound similar to flavonoids. It is found in low levels in the skin of red grapes, red wine, cocoa powder, baking chocolate, dark chocolate, peanuts, and mulberry skin. 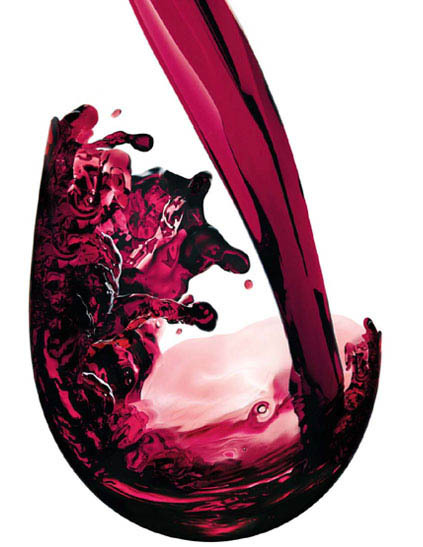 Red wine is perhaps the most recognized source of resveratrol, however, red wine contains only one milligram per glass. Most resveratrol supplements use Japanese knotweed (Polygonum cuspidatum) as the source. There has been a great deal of hype regarding resveratrol supplements, and a recent clinical study from Germany shows that it definitely produces results in improving memory and brain function in elderly subjects. Resveratrol has received a lot of attention as a longevity aid, but its scientific basis relies primarily on test tube and animal studies – there are only a few published human studies at this time, and many questions to be answered. Resveratrol activates an enzyme known as sirtuin 1 that plays an important role in the regulation of cellular life spans; it also promotes improved insulin sensitivity. Either of these two effects might explain its ability to extend lifespan. In terms of brain health, a 2010 clinical study in humans showed that resveratrol supplementation at a single dosage of 250 or 500 mg could improve blood flow to the brain, but it had no effect on mental function in this study. Researchers in Germany at the NeuroCure Cluster of Excellence and the Max Planck Institute for Human Cognitive and Brain Sciences wanted to know the effect of resveratrol on brain function and memory in healthy overweight older adults. Twenty-three participants (ages 50-75) took 200 mg daily of the natural supplement for 26 weeks, while another 23 matched controls took a placebo. The use of resveratrol resulted in a significant impact on the ability to remember words compared with placebo. Resveratrol users showed a significant increase in functional connectivity of the hippocampus – the area of the brain involved with the formation, organization, and storage of memory. The resveratrol group experienced a decline in glycated hemoglobin (HbA1c), which indicates improved blood sugar control. Resveratrol reduced body fat percentage and increased blood levels of leptin, a hormone that regulates how much fat is stored in the body and also helps with weight loss and suppression of food intake. The authors concluded that their findings provided evidence that use of resveratrol supplements can enhance memory along with better hippocampus function and improved glucose metabolism. These are all positive factors for a healthy aging brain. Over the past few months I have featured several studies that reflect nutritional approaches for improving brain health, memory, and/or the prevention of age-related mental decline or Alzheimer’s disease. There are a lot of natural products to choose from, but the basic underlying goals and effects are quite similar. You have to reduce inflammation, control blood sugar levels, provide necessary building blocks with super nutrition, and protect the brain from damage by consuming antioxidants from the diet and through supplementation. #2. Take extra plant-based antioxidants like flavonoid-rich extracts like grapeseed or pine bark extract; curcumin (Theracurmin); a “greens drink” product; resveratrol; or some other broad-spectrum antioxidant. #3. Take a high quality fish oil product to provide 1,000 mg EPA+DHA daily for general health or up to 3,000 mg EPA+DHA if you have an inflammatory condition; cardiovascular disease; depression, ADHD, multiple sclerosis, or any other brain or nerve disorder; or any of the 60+ health conditions shown to respond or be prevented by fish oils. #4. Take enough vitamin D3 (typically 2,000-4,000 IU daily) to elevate your blood levels to the optimal range (50-80 ng/ml). Also, realize that in the study described above, benefits to the brain were secondary to improvements in blood sugar control. This highlights the importance of using PGX, which I think is the most important supplement in North America today given its effects in supporting proper blood sugar control and weight loss. Witte AV, Kerti L, Margulies DS, Flöel A. Effects of resveratrol on memory performance, hippocampal functional connectivity, and glucose metabolism in healthy older adults. J Neurosci. 2014 Jun 4;34(23):7862-70.